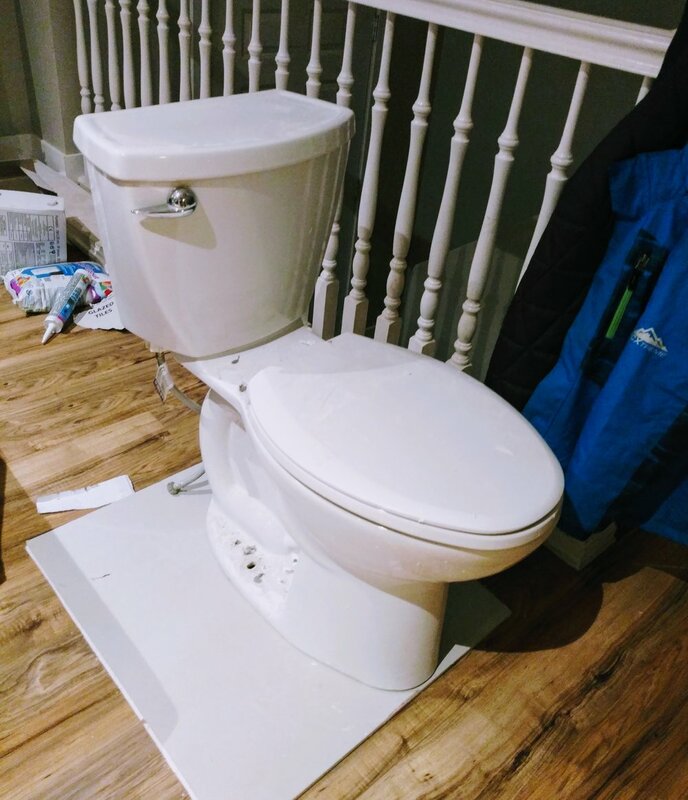 I currently have a toilet sitting in my living room. The funny thing is that when people come over nobody says anything, like it seems completely normal for me to have a toilet sitting there. We have two bathrooms and one is being remodeled, leaving us with only one shower and one toilet. We also have someone living with us, so we have a total of nine people who are sharing this one bathroom. My yard is a mess. My kids have a broken down wheelchair that they play with all the time and have just left it out in the driveway. In addition to the wheelchair, we also have dog food sitting out and loads of bikes. Do you want to know the crazy part? I’m ok. I keep thinking that maybe I should be frustrated or irritated at my situation, but I’m not. I have been studying a lot about stoicism and attempting to be responsible for my own emotions and feelings. Sometimes it is easier said than done. I actually had a full a-ha moment a month ago and realized that I have 100% control over what I think and how I feel. At first it made me sick inside. What if I’m having a bad day? I couldn’t blame it on anyone, I had to take responsibility for my thoughts, actions, and feelings. I kind of wanted to lock myself away so I didn’t have to worry about it. After a few days of feeling sick, I started to feel liberated. Have you read, Man’s Search for Meaning by Viktor Frankl? If you haven’t, you need to. He was a therapist that developed logotherapy. Logotherapy is the idea that finding meaning in your life is the most powerful force in humans. As a medical student he practiced his ideas and not a single student committed suicide that year. World War II was happening all around him and he was eventually taken to a concentration camp. He had to practice everything that he had been preaching so that he could survive. Do you understand the power this gives you? When your kids are crazy, you still get to choose how you feel. When you catch your kids pooping in the yard because you only have one toilet, I’m saying that for a friend…, you still get to choose how you feel. It is a beautiful and wonderful thing. So even though life can be crazy and bad things can happen, I’m completely content with life being perfectly imperfect.